Based on 493 customer ratings. When absolutely nothing but the best deep dish pizza will do, you don’t have to drive to Chicago — just come to Plainfield’s own Giordano’s! With an unforgettably flaky crust and the most flavorful toppings around, it’s no wonder deep dish connoisseurs call Giordano’s the best pizza place in Plainfield. How Many People Does It Take to Make One Pizza? Did you know that six trained artisans with a talent for old-world techniques handcraft each and every Giordano’s deep dish pie? You’ll taste the difference with every bite. Our stuffed pizzas feature the flakiest, pie-like crusts, the fluffiest mozzarella that’s made just for us and the richest fillings layered by our artisans with tender-loving care. 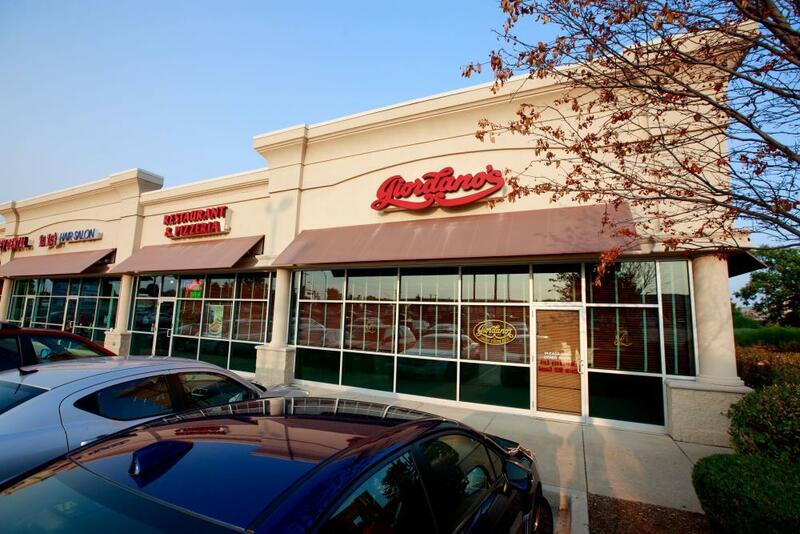 Until you’ve had Giordano’s, you can’t say you’ve experienced the best pizza delivery and restaurant in Plainfield. Are we famous for our pizza? Of course! Since 1974, Giordano’s has been more than a cherished Chicago tradition — we’re an experience. But we’re also known for our mouthwatering specialty sandwiches, savory appetizers, hearty pastas and fresh salads. If you need gluten-free options, just ask! Giordano’s has something for everyone.